Welcome to the SureStay Plus Hotel Houston Medical Center. We are just 1.0 mile from the Houston Zoo, and we offer a complimentary shuttle to the hospitals located in the Medical Center. 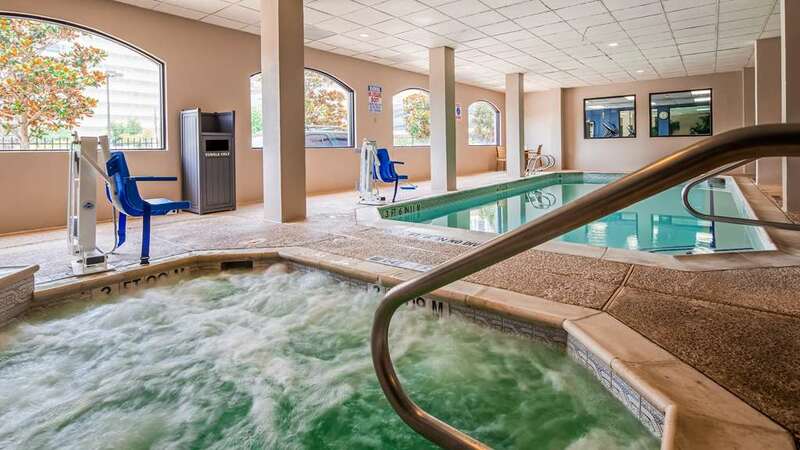 The hotel also features an indoor pool and fitness center, this property is located 2 miles from NRG Park. All guest rooms have a microwave and refrigerator, each room comes equipped with a flat-screen cable TV with HBO for movies. Additional in-room amenities include a coffee maker, work desk and ironing facilities. Enjoy a complimentary full hot deluxe breakfast that is served daily, offering a variety of breads, cereal, fruit, eggs and breakfast meats. A community kitchen is available for guests. The hotel offers on-site business facilities and a gift shop. There is a 24-hour front desk and guest laundry facilities are available. This hotel is conveniently located within a 7-minute walk of the Texas Medical Center Light Rail Station. Rice University is just a 2 minute drive away. Enjoy your stay!